Matt Utecht, Mitchell Hamline School of Law Lawyers and scientists come from different backgrounds. Lawyers wield words and performance to convince the jury of their case. Scientists rest on facts to educate and inform. What can scientists learn from lawyers about effective communication? 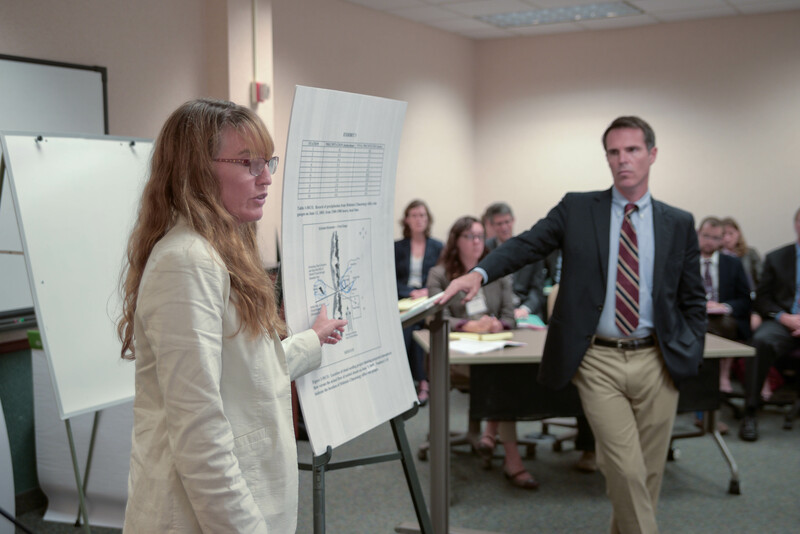 The Paleoclimate Program at the National Science Foundation funds a communication skills training program for scientists who are serving as expert witnesses, and several people from the LTRR have participated in this in recent years. More recently LTRR graduate student Amy Hudson collaborated with another grad student in writing an article about how scientists trying to make an impact could use these skills to be persuasive in a broad range of settings. Brandon Scott Similar to lawyers presenting closing statements, scientists should use gestures and movements choreographed to emphasize main takeaways, such as counting a list of items with your fingers or demonstrating the size of something in relation to your height.